Got Mei's! Went with fiery red! Did you cut it? I'm scared to. Doesn't make sense. I'm dumb. I figured out how it illuminates. I thought I'd be cutting part of the light lol. It's great! My previous dog, a black Labrador, was hit by a truck as she ran into the street (she was okay after surgery) so I did a bit of searching for some decent illumination for my pup. 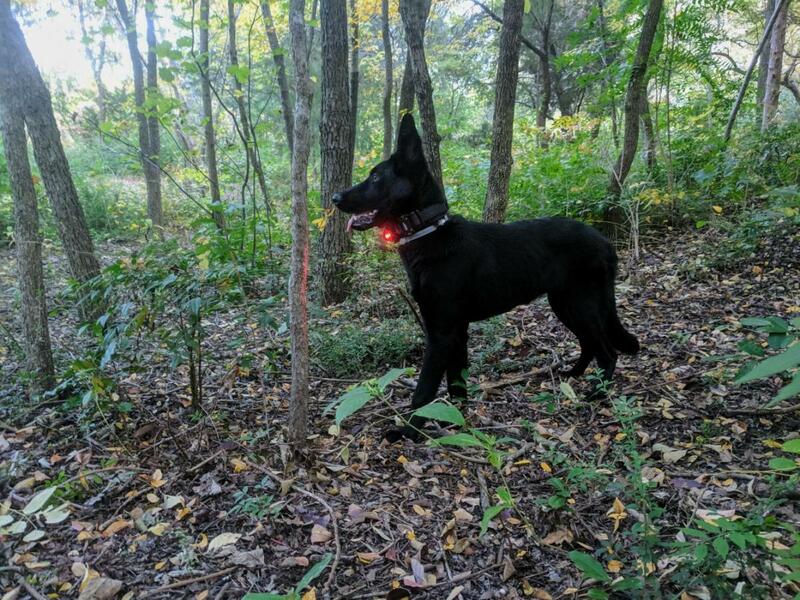 Not an LED collar but another option that is effective. I went with this Danish safety light and am very happy with it. Photo taken in the early evening. Love it! Got pink and blue as well. Thanks Ozzy! 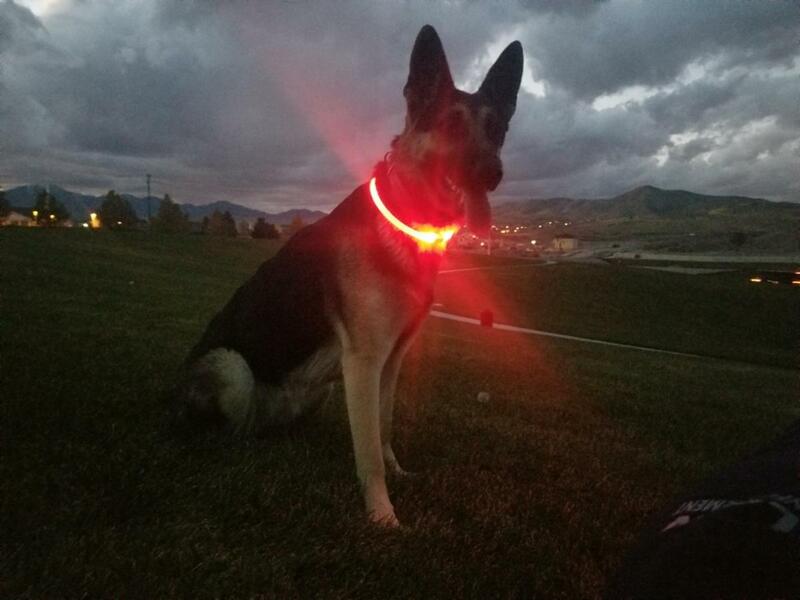 I bike and have excess bike head/tail/helmet lights I just snap onto the collar. Super bright, rechargeable, and several blinking and color options. Buy them on sale on Black Friday on Amazon for a great deal. I think I got 3 for $15. Please don't forget to make the human visible too when you walk at night! Wear a yellow or orange safety vest covered with reflective strips! 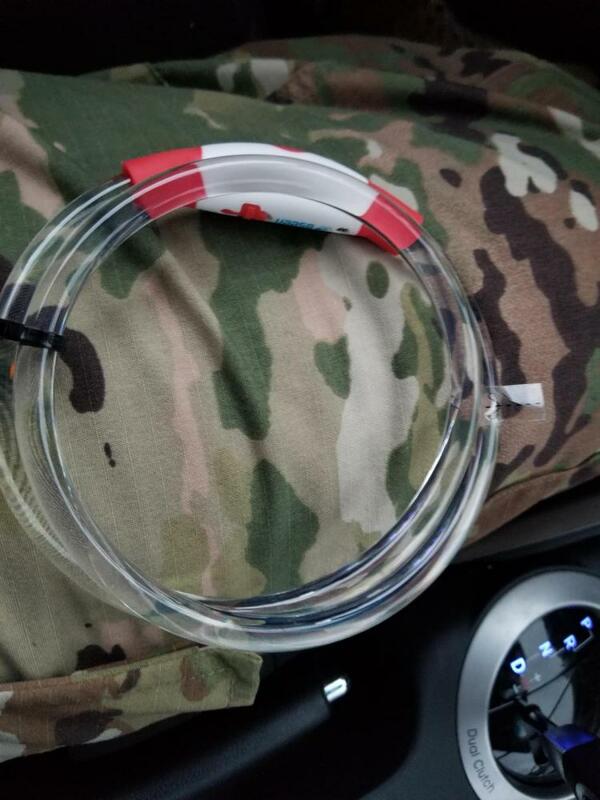 They're as little as $10 on Amazon and can easily slip over a coat if needed. We have mesh ones that are breathable for running, and they have lasted through washing very well. There are no batteries to run down or recharge. My neighborhood has almost no street lights, and lots of people walk in dark clothing. Sometimes the only way I can spot them is a tiny sparkle near the ground from reflectors in running shoes. It is SO dangerous.